This is the Dutch translation topic. In dit onderwerp zijn alle opmerkingen/suggesties welkom omtrent de Nederlandse vertaling van WinSCP. After updating from 4.1.1 to 4.1.2, and restarting WinSCP an error occurred: the translation files in the map ...\WinSCP were for 4.1.1 and not 4.1.2. I had to remove the file for WinSCP to work properly. So I did. But after that the same error popped up. Uninstall, reboot Windows (Vista Ultimate 32bit), reinstall the English version, nothing worked. In the end the only solution for me was to reinstall 4.1.1 (English version). I'm not 100% sure, but I thought the translation files always belong to the latest final version of the product. Because 4.1.2 is still beta, the translation files are meant only for 4.1.1 and aren't compatible with 4.1.2 beta. You can use 4.1.1 Dutch or 4.1.2 beta English, but 4.1.2 beta Dutch won't be possible until 4.1.2 final will be released. That does not make much sense. Anyway, try to uninstall WinSCP. Make sure that the ...\WinSCP folder is gone completely. Reinstall 4.1.2, which should include up to date translation. That's exactly what I did, a few times. To be sure that WinSCP ánd the WinSCP-folder really were uninstalled/deleted, I restarted Vista, reinstalled 4.1.2 (Dutch language) -same error. Did the whole procedure again, but with English language this time, and still got the error. Tried it again, 4.1.1 (Dutch language), error popped up. Finally I repeated the whole thing, installed 4.1.1 (English) and that did it. I did the same procedure each time: uninstall WinSCP, delete the WinSCP folder, restart Windows, reinstall. The only thing I can think off now is after uninstall there remain parts of WinSCP in the register. Ow, forget to mention: thanks for the quick reply, both of you! Are you sure you use the latest version of the Dutch translation? As far as I can see there's no wrong translation for "Disable". In dutch it says: "Bestanden groter dan" in the place where the english version says "Disable"
I've updated the translation source file. The compiled translation file should be available within a few days. May be WinSCP can be recoded to use kB instead of KiB, but this is out of the scope of this translation topic. WinSCP uses KiB, not kB. I wanna help if the authors allow me to. Is er eigenlijk al een Nederlandse vertaling want ik zie dat het programma nog steeds in het Engels is of moet ik een vertaalbestand downloaden. Sorry ik had niet goed gekeken. Heb inmiddels de vertaling bij het opstarten gevonden. Zelfde hier: GEEN nederlandse vertaling update mogelijk. Used to use the US/UK language. I just saw that there should be a Dutch version. Tried the available *.nl file, which is earmarked by the program as not to use in 4.3.2 to avoid errors. You should upgrade to 4.3.3.
mee eens, het is teetlijkgreijd een mooie uitdagingom jezelf steeds weer te durven verliezen en terug te vinden. Misschien is dat wel wat leven is. Why change from IEC to JEDEC units? Seems contrary to the direction most other piece of software is taking. Is there any specific problem this solves, other than avoiding using the international standards used elsewere? This does not really belong to this topic, please start a new one, if you want to discuss this. Also please give us an example of "most other piece of software". 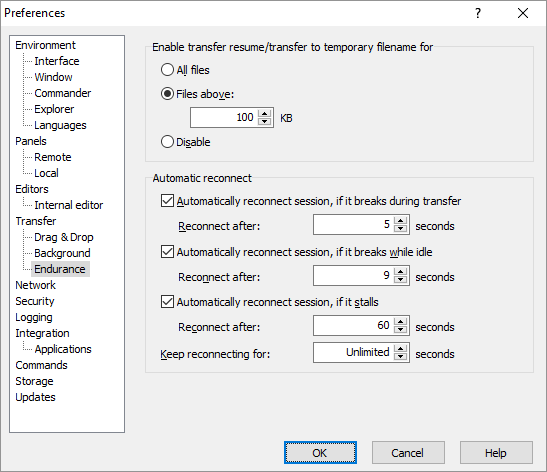 I want to help adding Dutch translations to the WinSCP app. I also want to offer my help adding Dutch translations. Thanks for your offer. Nathan already took up the job.